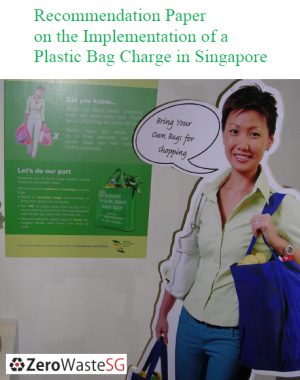 In Singapore, 832,200 tonnes of plastic waste was generated in 2013 and the recycling rate is 11%. Plastic waste, especially plastic bottles and containers, are usually sorted, baled and exported overseas for recycling. 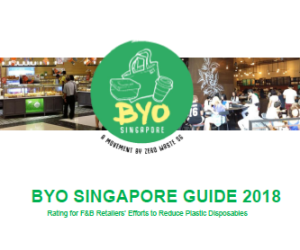 There are also plastic recycling companies in Singapore that sort and process plastic waste into small pellets to be used as feedstock for making plastics products. Plastic waste can be divided into pre-consumer and post-consumer plastic waste. Pre-consumer plastic waste are plastic scraps generated by companies during the manufacturing of products. These plastics are usually easier to recycle as they are clean and homogeneous. Post-consumer plastic waste are generated by the consumers after use. These plastics are usually not favored by recyclers as they are difficult to collect, easily contaminated with food, and not homogeneous. There are many types of plastics in the market. To make sorting and recycling easier, The Society of the Plastics Industry (SPI) in the United States developed the SPI resin identification code to provide a standard marking code for consumers to identify the main types of plastics. 1. PET (Polyethylene terephthalate) – Used for water bottles, soft drink and cooking oil bottles, and meal trays. 2. HDPE (High density polyethylene) – Used for milk and detergent bottles. 3. PVC (Polyvinyl chloride) – Used for plastic pipes, food trays, shrink wrap, and bottles. 4. LDPE (Low density polyethylene) – Used for plastic bags and bin liners. 5. PP (Polypropylene) – Used for bottle caps, margarine tubs, and meal trays. 6. PS (Polystyrene) – Used for food containers, egg cartons, vending cups, plastic cutlery, and protective packaging for electronic goods. 7. OTHER – Includes any other plastic that does not fall into the above categories. It is estimated that 4% of the world’s annual oil production is used as a feedstock for plastics production and an additional 3-4% during manufacture. Plastics are non-biodegradable and takes hundreds of years to break down. When they are landfilled, they take up landfill space. When they are incinerated, they release carbon dioxide and potential toxic gases such as dioxins. At the plastics recycling plant, plastic waste are sorted according to their type and colour manually, by optical sensors or by a flotation process. The sorted plastics are shredded, washed and then melted to produce strands of plastics. The strands are cut into small pellets, which are used as feedstock for making new plastics products. Depending on the type of plastics, the recycled plastic pellets can be used to make a wide range of plastic products such as plastic bags, containers, trays, pipes, CD cases, garden furniture, carpets, and clothing. 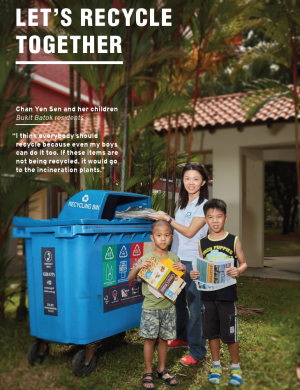 In Singapore, 832,200 tonnes of plastic waste was generated in 2013 and the recycling rate is 11%. 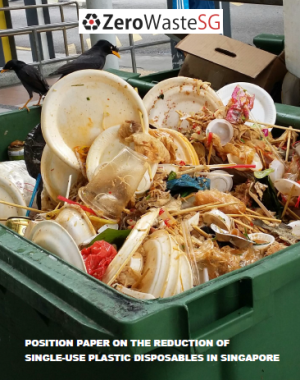 Pre-consumer and post-consumer plastic waste are usually collected by the plastics collectors and traders, and through the recycling programmes. 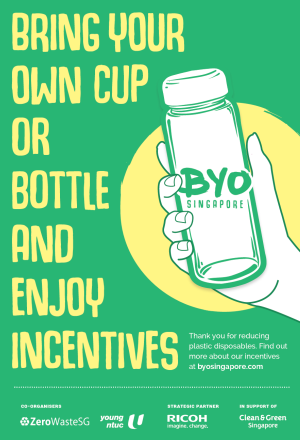 For pre-consumer plastics, there are plastic recycling companies in Singapore that sort and process these waste into small pellets to be used as feedstock for making plastics products. Pre-consumer plastic waste are also sorted and exported overseas for recycling. 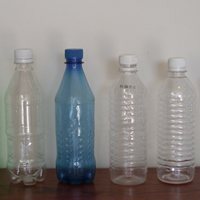 Common types of post-consumer plastics that are collected include PET and HDPE bottles and containers, which are sorted, baled and exported overseas for recycling. To find a recycling collector or someone who wants your plastic waste, check out NEA’s list of collectors and traders. 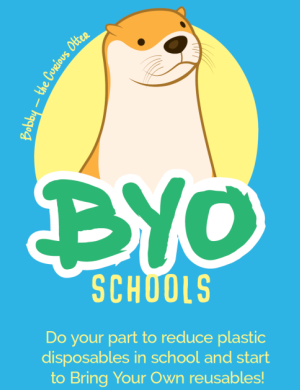 You can recycle plastics through the various recycling programmes at home, in school and your office, or through the public recycling bins. But before you do so, remember to Reduce and Reuse your plastic waste.